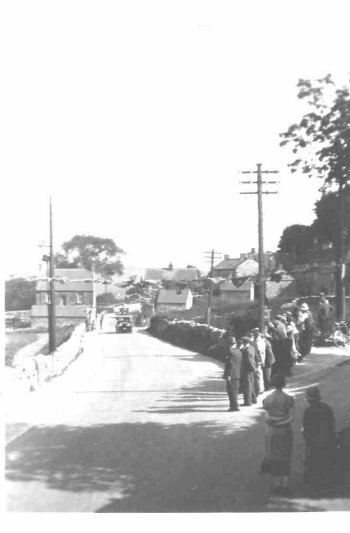 The first shows a view of Rise End, Middleton, with villagers waiting to greet the Royal cars and bunting across the road. On the back of the photo, I have written 1934 King George V on his way to Chatsworth. I have to admit that I cannot remember who told me that. I am sure that you will know which Royals have visited / travelled through the area over the years.